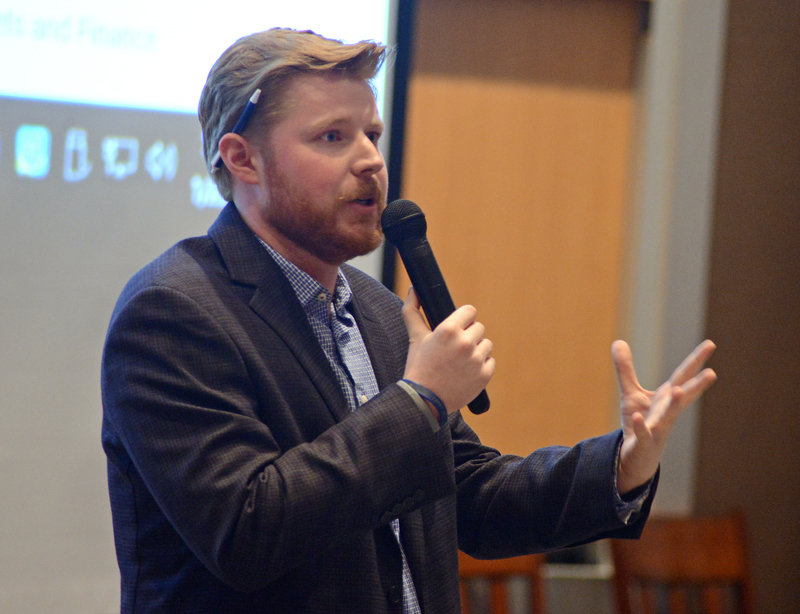 Ryan Brown ’18 returned to John Carroll University to share insights on his experience at NBC News in Washington, D.C.
Five months into his nine-month role—and only seven months removed from graduation—Brown addressed a crowd of 75 students who have shown interest in the next fellowship. Brown is the 10th graduate to accept the NBC/John Carroll University Meet the Press fellowship, which is given annually to a graduating senior in honor of Tim Russert ’72, the longtime host of the program. Brown shared stories from his roles as a researcher, producer, and “guest greeter” for Meet the Press, the longest-running program in television history. 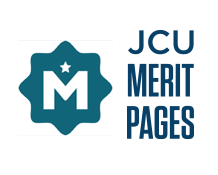 He also highlighted his behind-the-scenes work related to Meet the Press segments–including Chuck Todd’s interview with Michael Bloomberg focused on climate change, and the show’s coverage of President George H.W. Bush’s death. Brown also explained a unique role he enjoys part-time: as Meet the Press guest greeter. 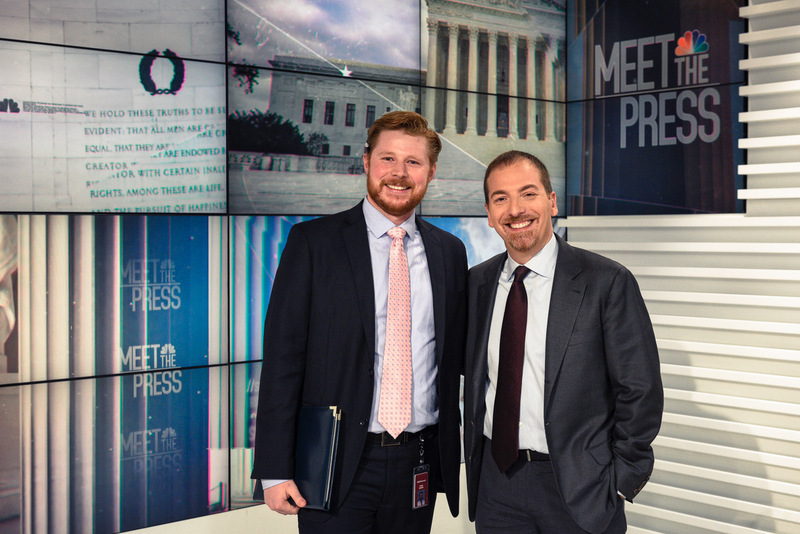 Part of his duties include welcoming politicians, pundits, and other special guests upon their arrival at NBC studios in northwest D.C.
Ryan Brown (L) with Meet the Press host Chuck Todd.